on Hidalgo Avenue between Paseo de la Reforma and Guerrero Avenue. Its excellent location allows you to visit a large part of the museums, such as the Palacio de Bellas Artes and the Museo de San Carlos, churches with a great architectural value as Catedral Metropolitana and the Iglesia de San Hipólito, parks with a cultural richness as La Alameda Central and meet the Mexico City history in the Templo Mayor from its beginnings. 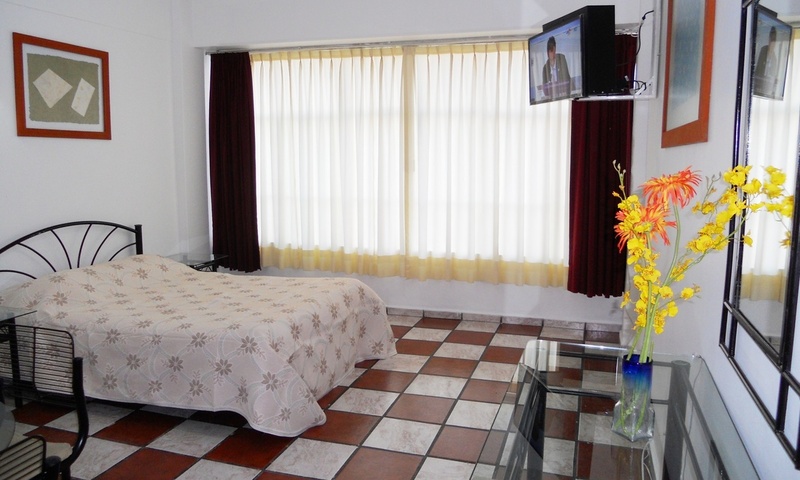 All our apartments and suites are furnished to make you feel at home and enjoy Mexico city. Junior Suite for max. 2 people. Senior Apartment for max. 3 people. Master Apartment for max. 4 people. 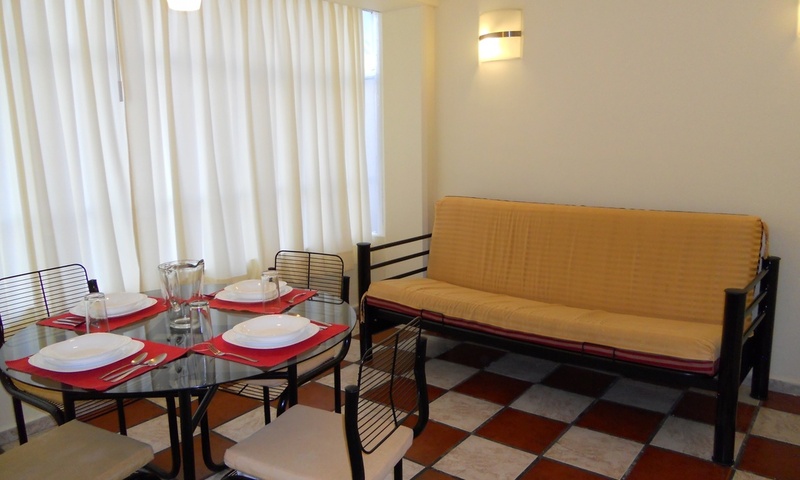 The rates include: water, electricity, gas, cleaning service, internet, wifi and cable Tv. 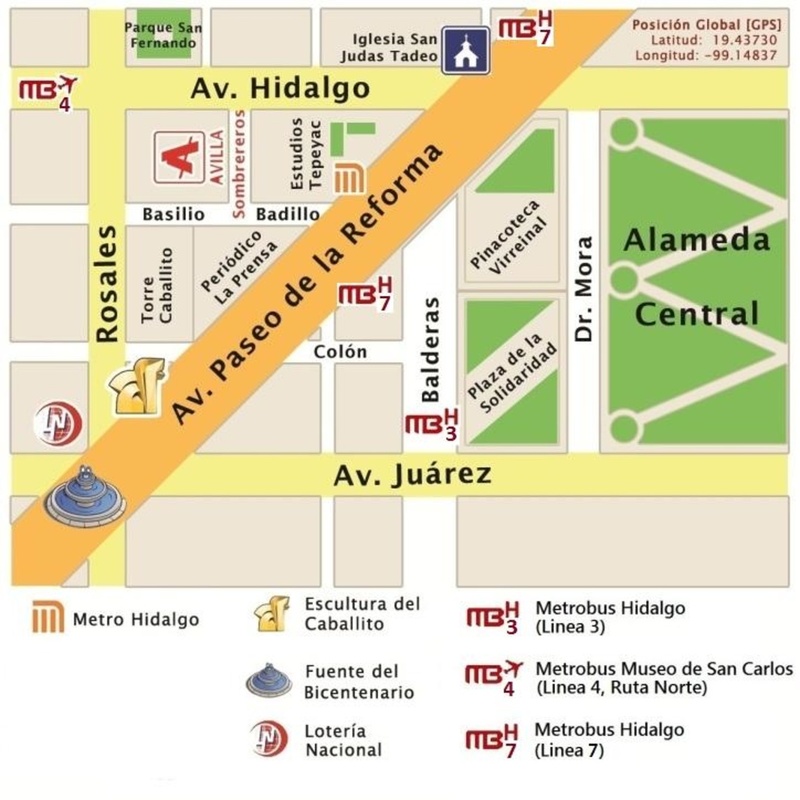 Avilla Apartments is located at one block from one of the main avenues of the city, Paseo de la Reforma, where you can enjoy of monuments, sculptures and buildings that show the Mexico´s history. Metrobus Hidalgo line 3,4, and 7. Hidalgo´s subway station line 2 and 3. You can also enjoy wonderful shows like in the Palacio de Bellas Artes or Teatro Metropolitano, shopping in exclusive malls like Reforma 222, and living a great the experience in Mexico City. 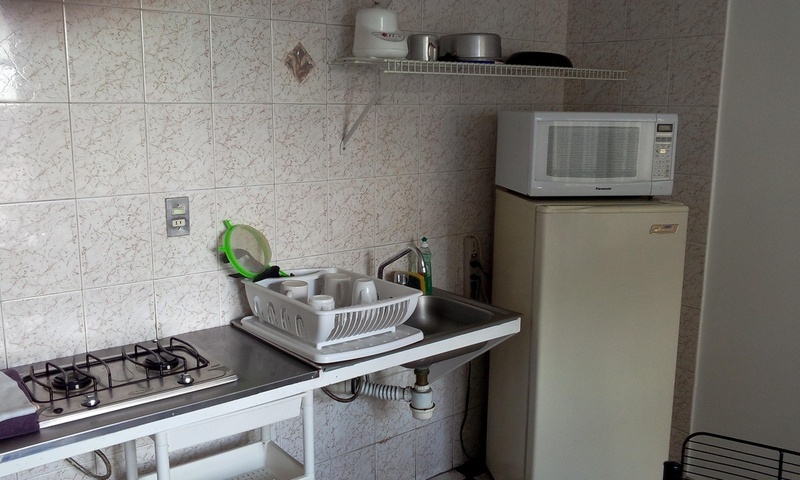 Equipped kitchen in your apartment. Take the opportunity to have an equipped kitchen and to be able to eat at any time of the day without having to look for a place.